Hey, Aldrine2016 here. I present to anda a new Animaniacs fan fic. It's a bit short so who cares? Anyway, enjoy and comment! It was a typical day-off for the Warner Brothers (and the Warner sister!) in the water tower. Yakko was watching this bizarre, insane clip of a man with a pisang in his ears (link) while his younger brother Wakko was listening to a hip-hop MP3 tune and burping musically at the same time. We start the fanfiction in a typical Looney Tunes "Rabbit Season, bebek Season" cartoon. Bugs: [points the gun to Daffy] bebek season! Daffy: [aims Elmer's gun at himself] bebek season! FIRE!!! 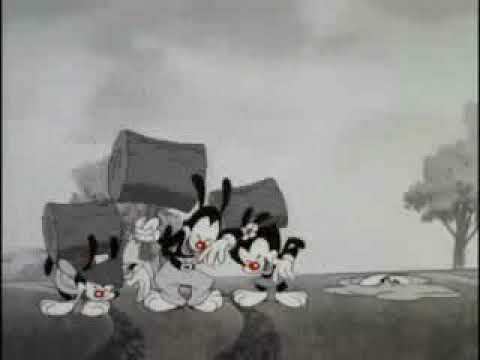 As Yakko, Wakko and Dot were about to return to the studio, a fan of their tampil saw Dot's great flipped hairstyle and began to freak out with excitement. Hello, Aldrine2016 there. Since either Seanthehedgehog atau AnimeFan66 failed to write my part 2 request, I think this will be the first part 2 of an Aldrine2016 fanfic written oleh myself. Blossom: [eating her mac and cheese] They berkata they got kicked oleh the park's statue for going crazy over it. Seriously, are they joking? Bubbles: [eating her mac and cheese] And then the evil Mojo Jojo melted the statue and announced to us that he is going to cause lebih destruction, [begins to impersonate Mojo] because he is.... Mojo Jojo! The following was requested oleh Aldrine2016. Wakko: All because we berkata hello to it. Yakko: Uh, did one of anda three do that? 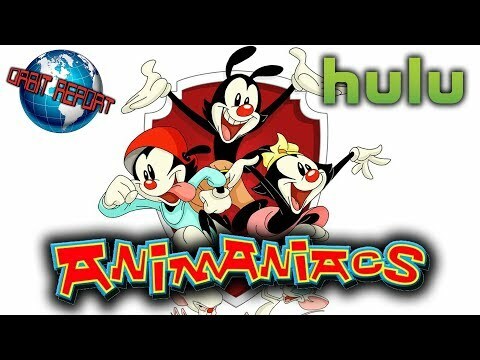 a video telah ditambahkan: Animaniacs - We Smashed Buddy!